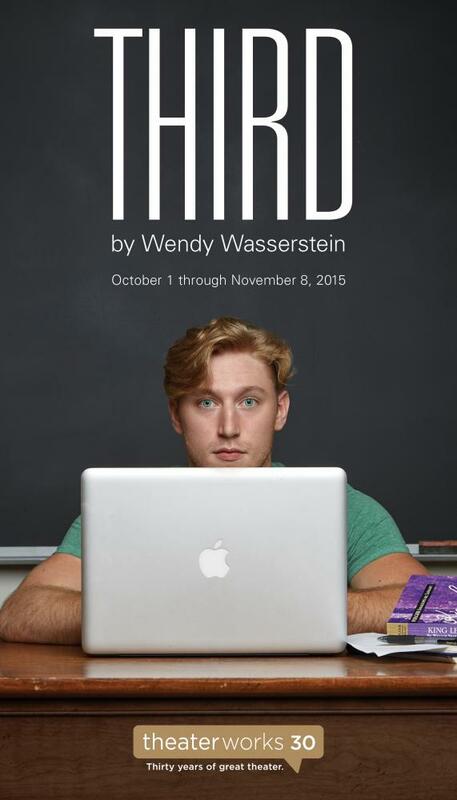 Third, by Wendy Wasserstein, is an interesting play that focuses on a well-educated woman (Laurie Jameson), and how she re-examines her entire existence and purpose in her life. Several people around her were responsible for this. Her daughter Emily, her friend and colleague, Nancy Gordon, her father Jack, and primarily the title character, a student of hers, Woodson Bull III (Third), all had an enormous impact on her transformation throughout the story. In this essay I will examine the moments that were pivotal in shaping Laurie to become a new person with a much more open minded approach to her opinions and treatment of people, especially those who are close to her. Early in the play Laurie begins her initial descent with her relationship with Third by questioning his real name. When Third tells her his real name Laurie says “Are you kidding?” (Wasserstein 6) She goes on to joke about the origin of his name and the possible singer or actor that his parents may have named him after. This was an insensitive approach to a first encounter with a new student. Third and any other student in this scenario would have immediately had a bad taste left in their mouth after this exchange with a professor at a new school. Third, in this case, was immediately stereotyped based solely on his name. This, however, was only the beginning. Then she goes on to question his purpose at the school, when he tells her that he wants to be a sports agent. She says to him, “And how does Shakespeare fit into that?”(7), referring to the fact that the school is a top ten rated liberal arts university, and that in her opinion sports and liberal arts don’t mix. Third is stereotyped again when he pleads with Laurie to let him screen “King Lear” on a different day since it clashes with his wrestling match. She gives him no options and jokingly compares him to Hulk Hogan without actually knowing exactly what type of wrestling he does. Third was also stereotyped politically several times in the story comparing him to the Republican red states. Even when she flat out asked Third if he was a Republican, he said “Not particularly” (19), yet she relentlessly pursued a connection between Third and the mostly conservative Republican ideology. She slammed Third at the end of his plagiarism hearing calling him “a walking red state” (27), yet again trying to correlate Third’s status at the University in a political sense. It was as though she wanted to believe Third was guilty of plagiarism, so she could substantiate that this heterosexual wrestling type does not fit in at a university of the “arts” attended mostly by gay and bisexual men and women. Laurie handled her early encounters with Third in a crass manner, immediately setting the stage for a difficult professor/student relationship. Unfortunately this treatment did not end with Third. Laurie’s daughter Emily also got large doses of Laurie’s political poison. Without a doubt politics had a massive influence on Laurie and her everyday life at the university, but it was also carried into, and very influential, on her home life. When her daughter Emily came home on break from college, in reference to the possibility of war in Iraq, she asked her “Why aren’t you and your friends out organizing?” (10) Her political obsession immediately surfaced and was not received well by Emily. This was her daughter whom she had not seen in six weeks. I’m sure that Emily, and any other son or daughter in this situation would surely be upset by this type of “Welcome home.” To make matters worse, Laurie’s approval of Rena, the girlfriend of Emily’s sister Zooey, because she was a published poet, only made matters worse and further deteriorated her relationship with Emily. Emily tells her point blank that she was unfair to her husband, in the sense that she never listens to him, because he’s not a “Star” (35), and to Third, for insisting that he plagiarized his paper. Unfortunately, it was Laurie’s bias toward Emily’s boyfriend, Richard, which became the final nail in the coffin of the relationship between Emily and her mom. Laurie did not approve of Richard because he was much older than Emily, a college dropout, musician and bank teller. Apparently Richard did not fit her “political” and academic criteria. Emily could not take any more of her mother, so she decided to drop out of school and moved with Richard into his parents’ house in Trenton, Ohio. For her own daughter to do this, it must have added some weight on her shoulders, and at least made her think about the consequences of her actions. Professor Nancy Gordon, Laurie’s friend and colleague, was also a key figure in Laurie’s transformation. It was pivotal when Nancy voted in favor of Third at the hearing for his alleged plagiarism. This was a friend and fellow colleague going against Laurie and one of her political tirades. Nancy sent the message home by telling her “This isn’t about you, this isn’t about the country, this is about one kid with a very good mind which you were determined to close down” (28). Laurie once again rubbed some of her negative and “politically incorrect” grease on Nancy when she disapproved of her relationship with the rabbi she met while she was in the hospital. This happened when she said “You know I’m highly suspicious of organized religion” (40), referring to the rabbi and his beliefs. She could not find it in herself to subdue her negative stance for one minute of her life, and be happy for a friend who was in love. While Laurie showed no remorse for her actions at this point, they definitely remained on her mind, and would be a part of her rejuvenation at the end of the story. There was a random moment that in my opinion had the greatest impact on Laurie’s personality change, and I believe it was the tipping point that provoked her to be a better person. When she was talking with her father, who was clearly struggling with age related mental illness, nonetheless in his mostly incoherent state, he said two things that hit Laurie hard and I believe were very important factors in her transformation. The first was when her father said “Nobody’s always right” (42), and the second when he said “Sometimes you just need to say I’m sorry” (42). It was the words of her father that caused Laurie to finally change her ways, and apologize to Third, by admitting that she was wrong by not believing that he could write such an amazing paper on “King Lear.” Laurie also found it in herself to accept her friend Nancy’s relationship with the rabbi and attend their wedding in California. I was saddened however that there was no closure between Laurie and her daughter Emily. To me this was an essential missing element of this play, but endings are not always perfect. In closing, I think that even though this was a fictional play, the scenarios displayed in this story are a reality in some homes and work places, and I’m sure many people could relate to the situations of at least one or more of the characters. Even though the title character was Third, the story was focused on the transformation of Laurie. Third knew who he was and where he was going. He was content with himself. For Laurie, on the other hand, it took certain people to open her eyes and her mind to re-examine herself, and learn how to become a better person and overcome personal obsessions that distanced her from her family, friends, and students. Submitted for ENG 102, Literature and Composition, Fall 2015.